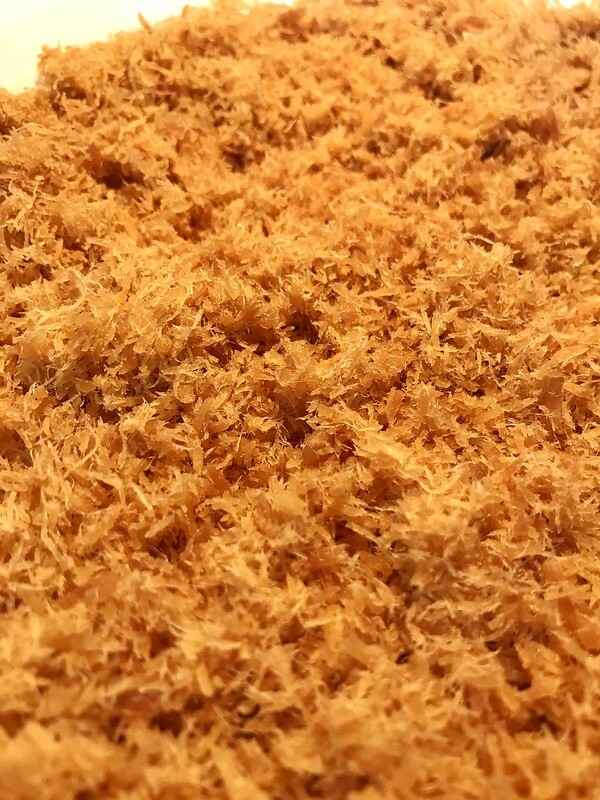 Actually, making pork floss doesn’t need many ingredients, but it does requires a lot of patience. 1. Cut lean pork into slices around 1 cm thick. 2. Place pork into a pot. Add in enough cold water about 2-3 cm higher than pork. 3. Turn to high heat and bring the water to boil. Skim the soup, remove the foam. Add in ginger slice, star anise, 1 tablespoon cooking wine and 1 tsp salt. Cover the lid and simmer for 30 mins. 4. Take the pork out. Cool and let them dry. 5. Put all pork into a zip bag. Use rolling pin to pat the pork till there is no more big lumps of meat. If there is still big chunk of pork, you can tear it into small pieces by hand. 6. Heat a pan. Add in 2 tsp oil. Turn to lowest heat. 7. Add pork in. Stir fry with patience till pork starts to become a bit fluffy. 8. Add in 1 tablespoon light soy sauce and 1 tablespoon sugar. 9. Stir fry till pork fully mixed with soy sauce and sugar. 10. 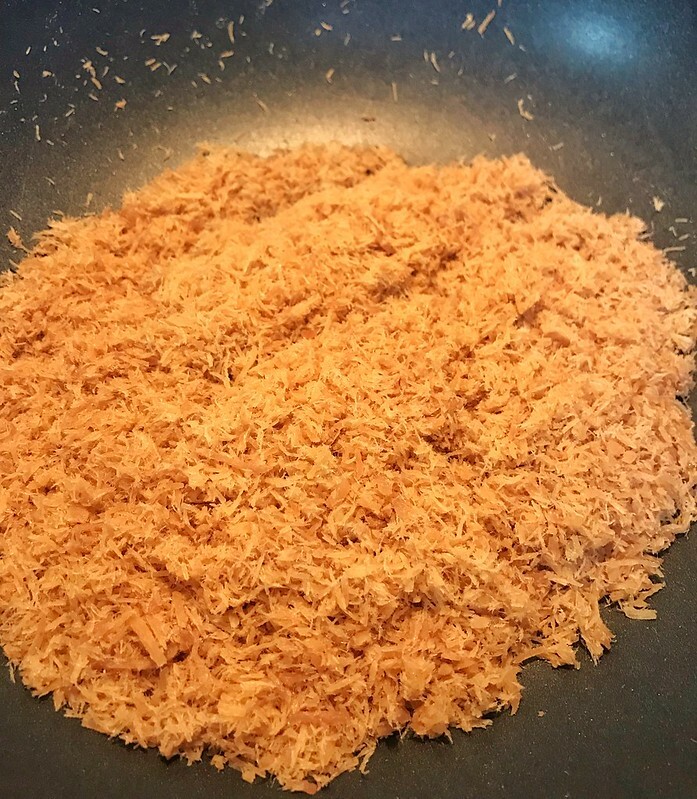 Put fried pork pieces into a blender. Blend till they become completely fluffy. 11. Then put them back into the pan. Stir fry to dry them up. 12. Spread them in a big plate. Cool down and also to dry up completely. Can I have some sample to taste ? How about next time, when we go back, I will bring you some freshly-made ones?